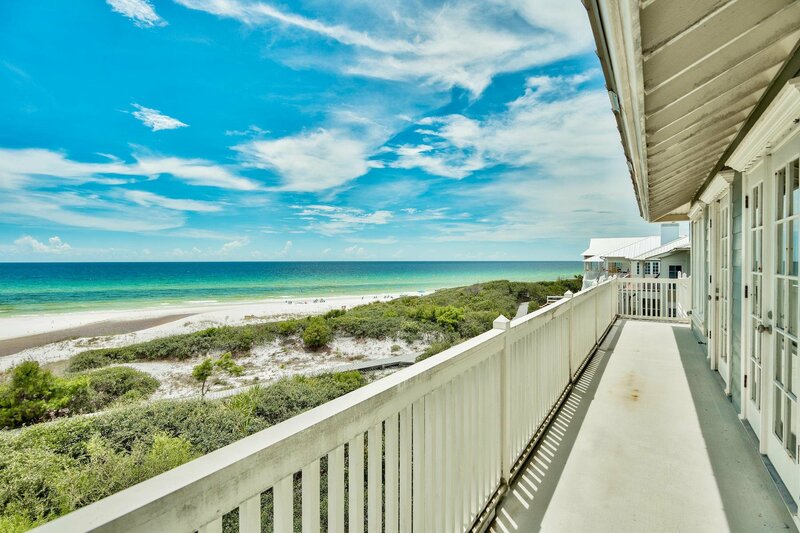 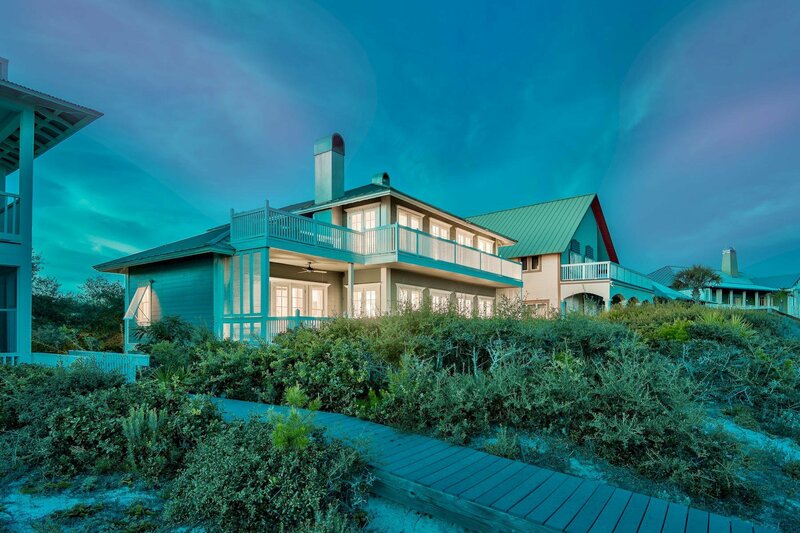 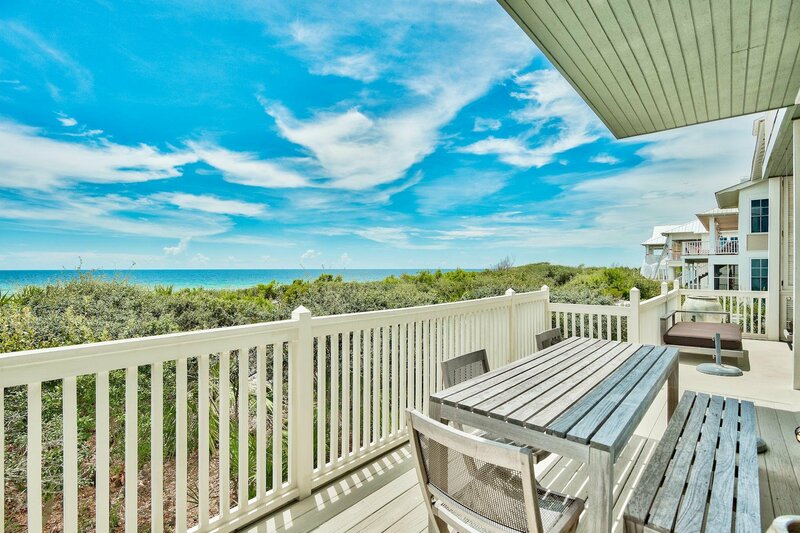 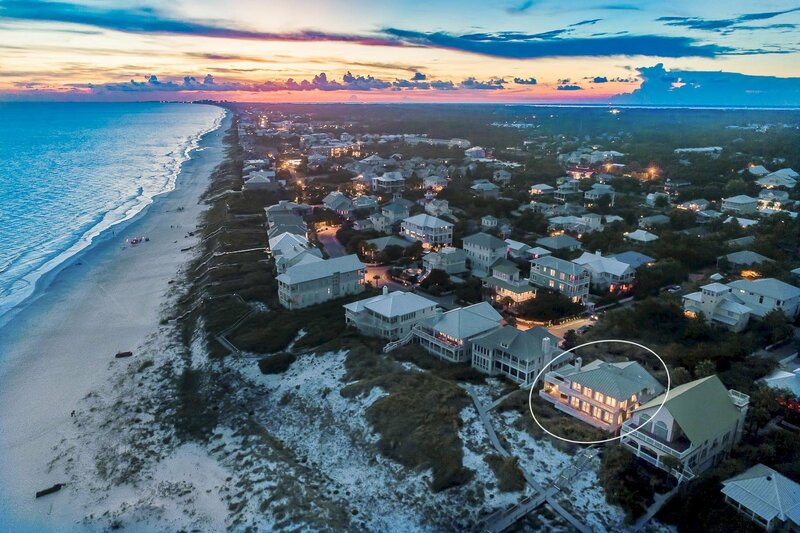 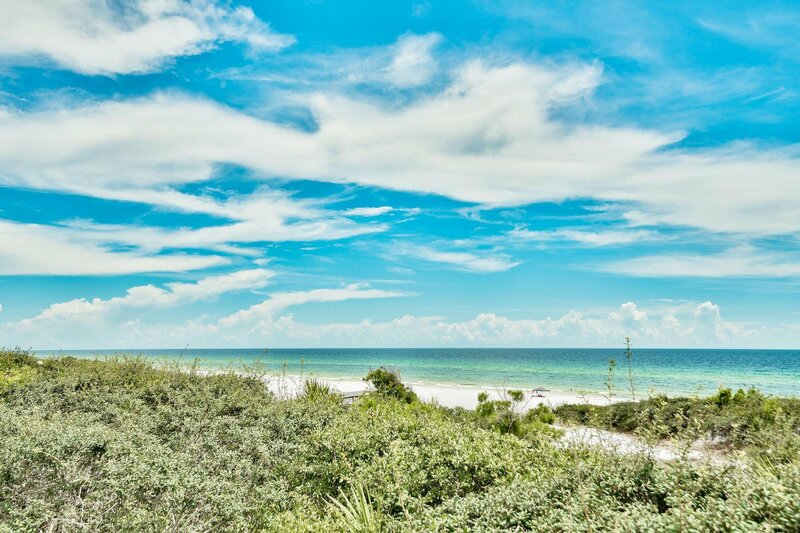 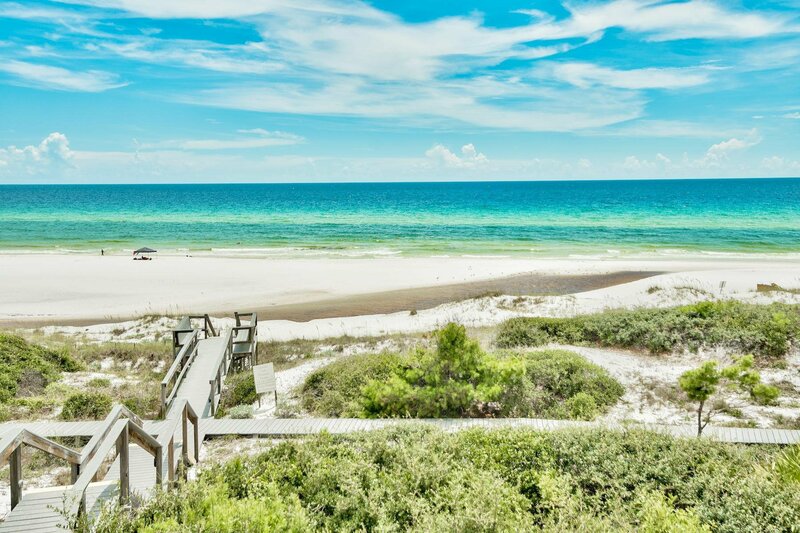 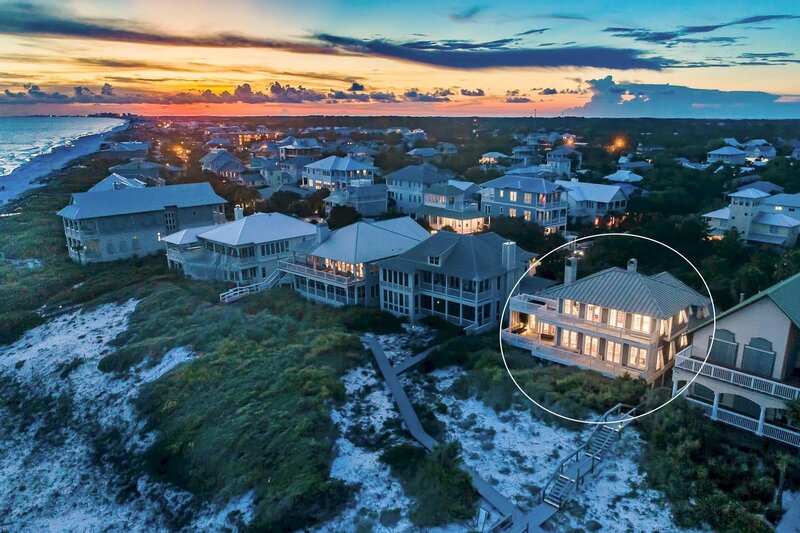 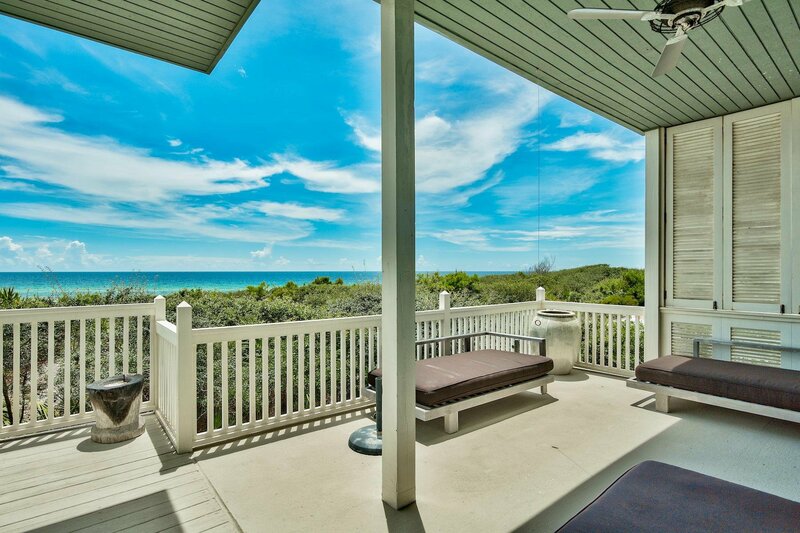 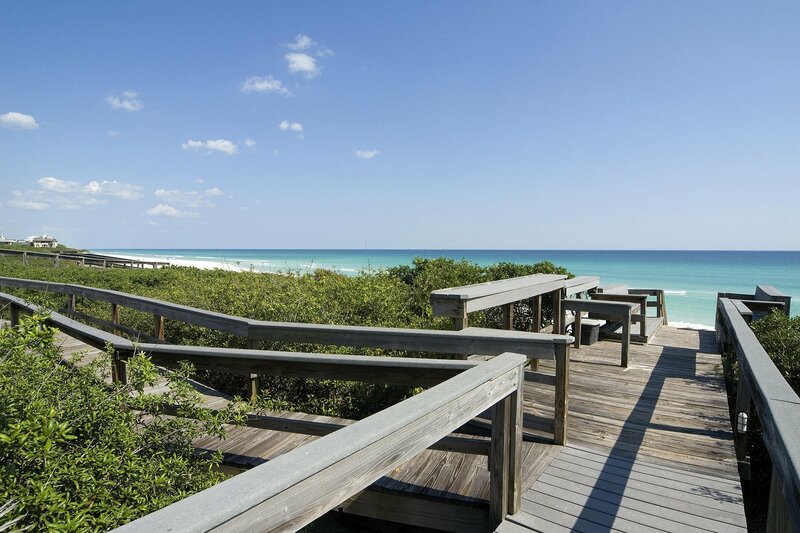 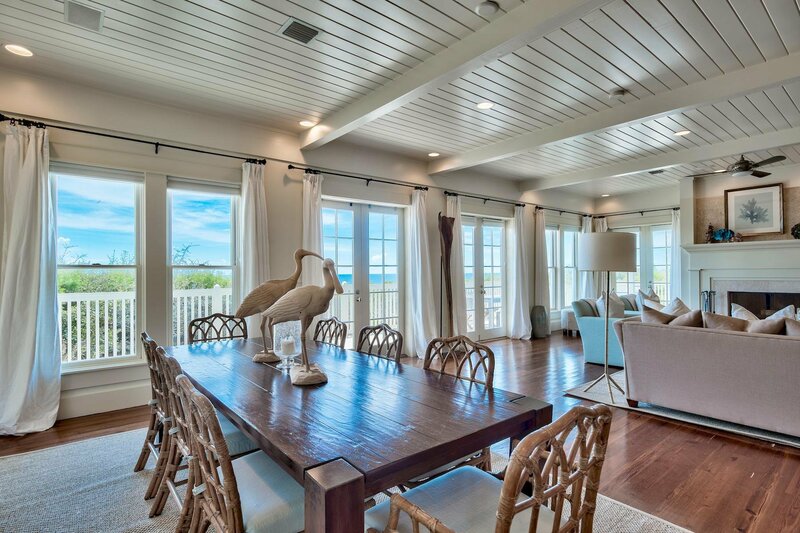 Experience unparalleled vistas from this premiere gulf front retreat ideally situated on an oversized 70 x 240' lot prominently positioned at an exceptional elevation to capture 180 degree views over the Gulf of Mexico and Draper Lake. 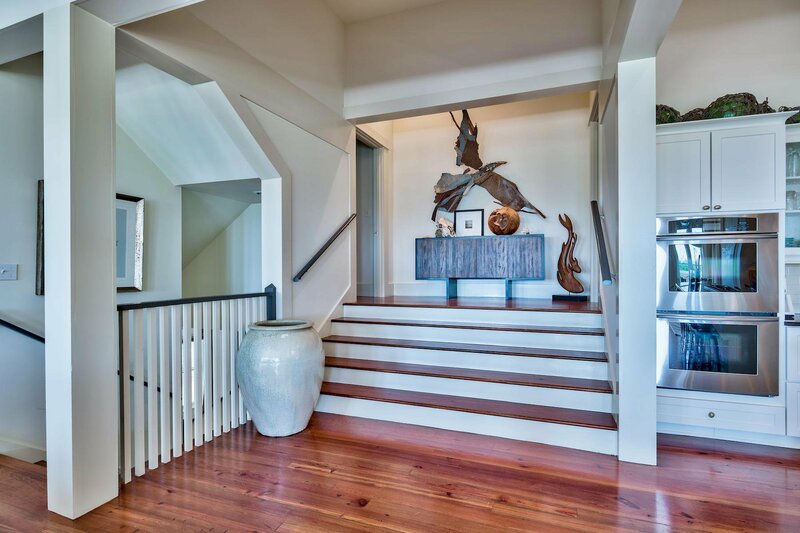 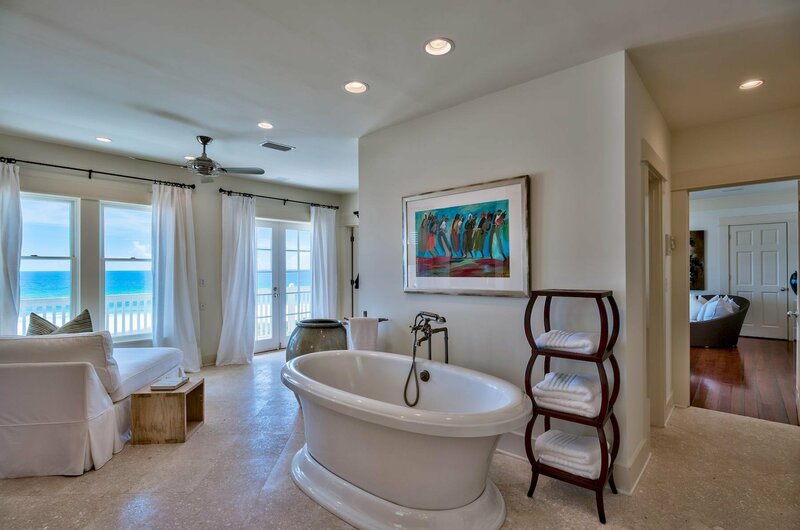 This pristine residence has been masterfully designed with a spacious open floorpan comprised of over 4,600 sqft, offering five bedroom suites each accompanied by a private ensuite bath for optimal comfort. 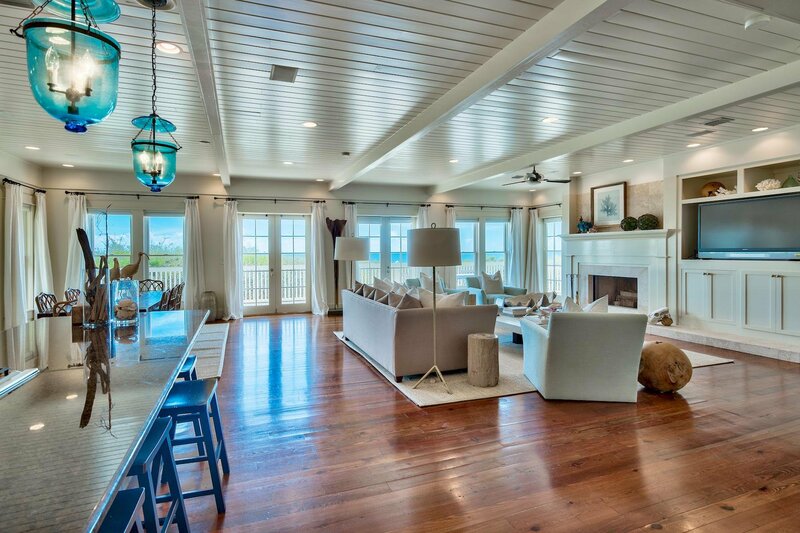 The primary living area was thoughtfully located on the second level taking full advantage of premier gulf views and highlighted with professionally curated interiors by Atlanta based designer Todd Bienz. 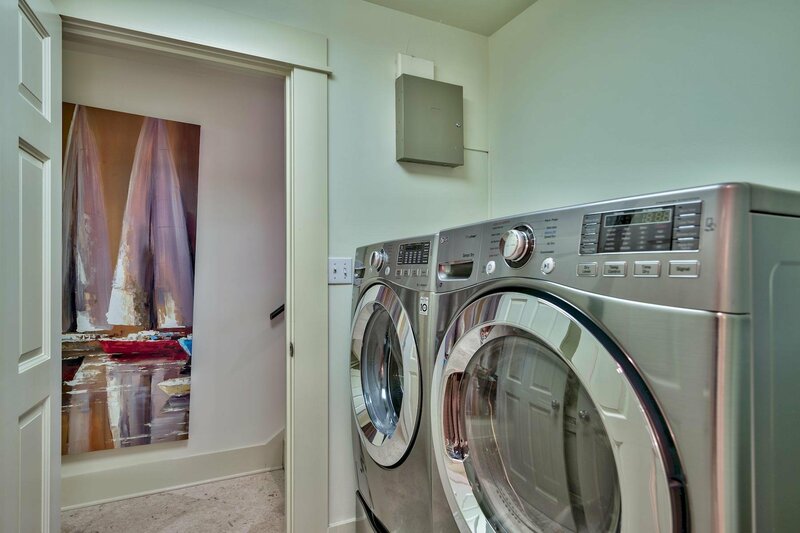 The first floor entry level is complete with a secondary living room and full guest suite as well as elevator access, well equipped mud room and adjoining laundry room. 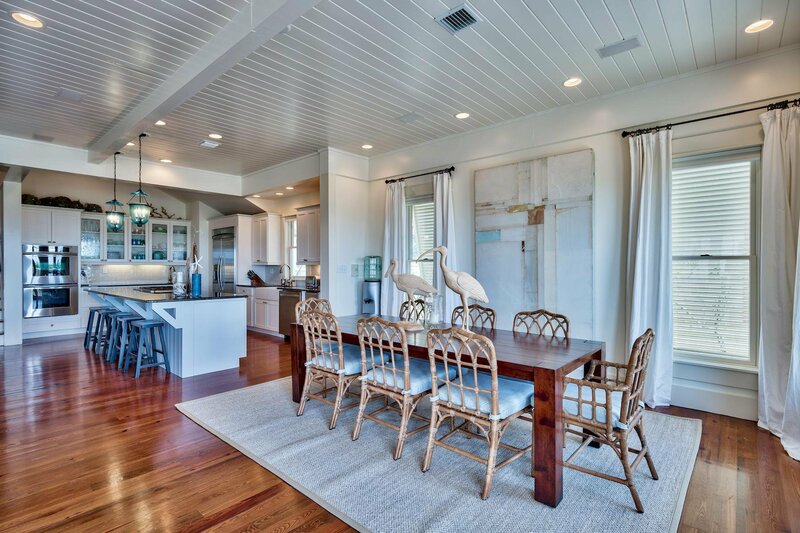 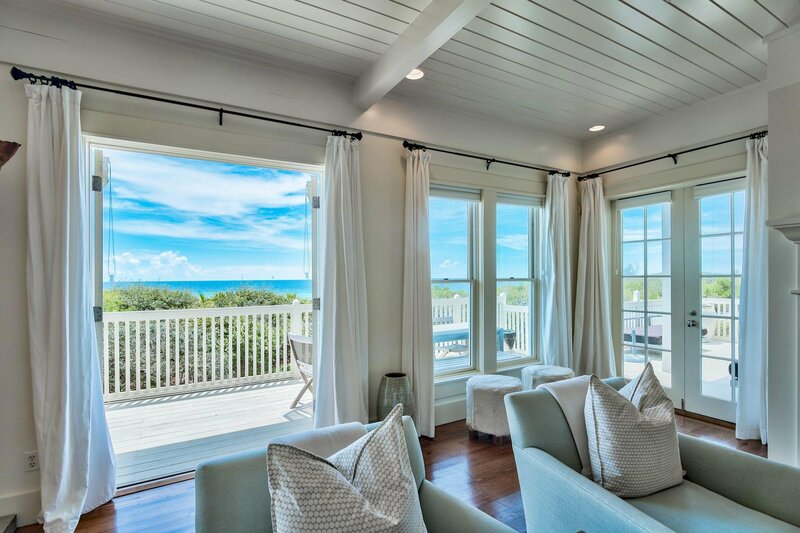 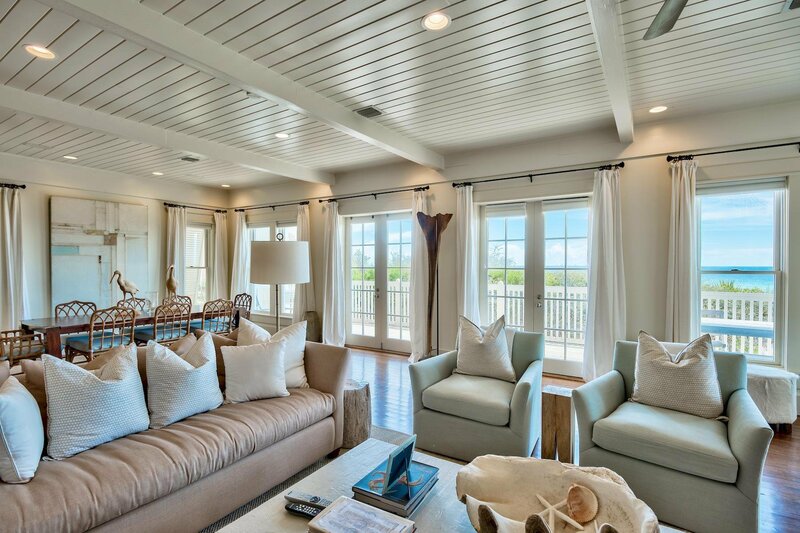 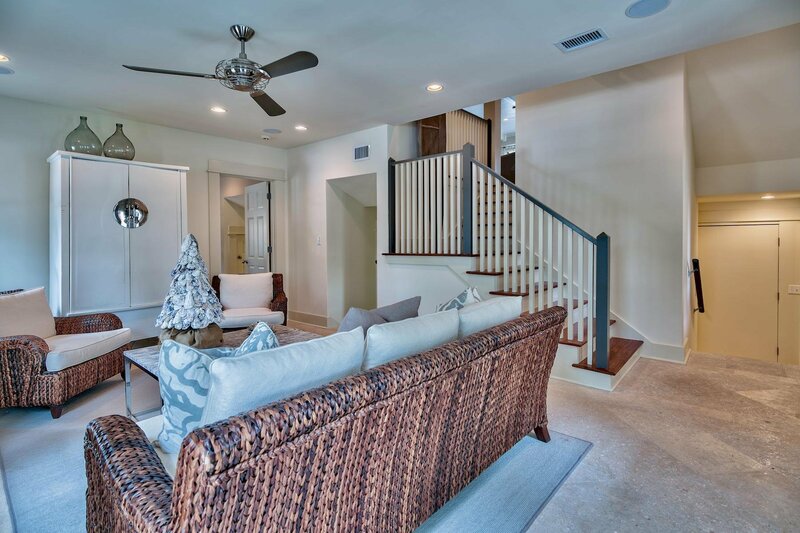 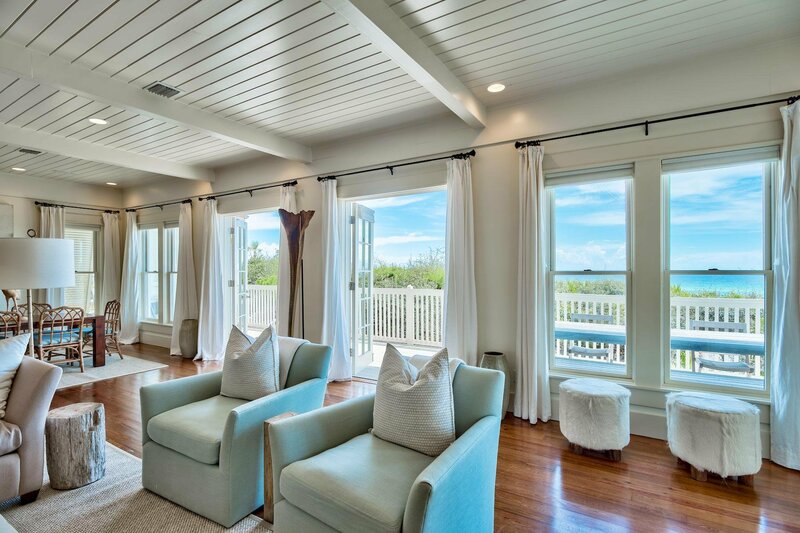 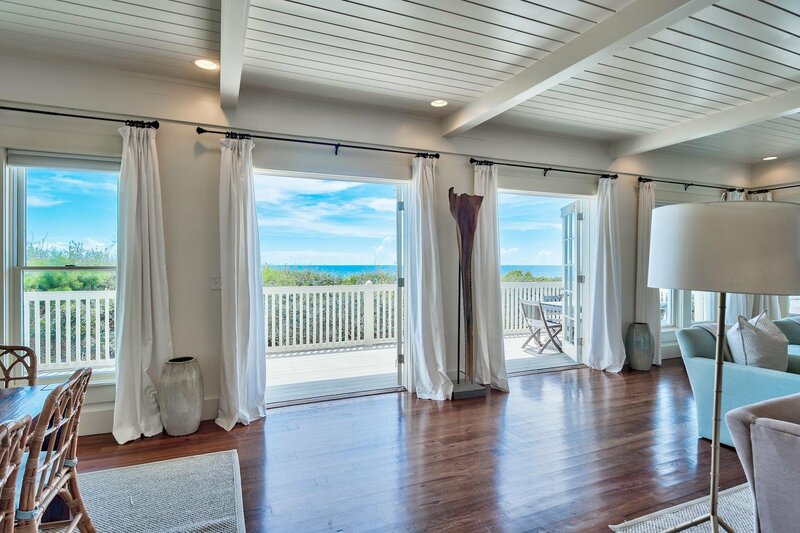 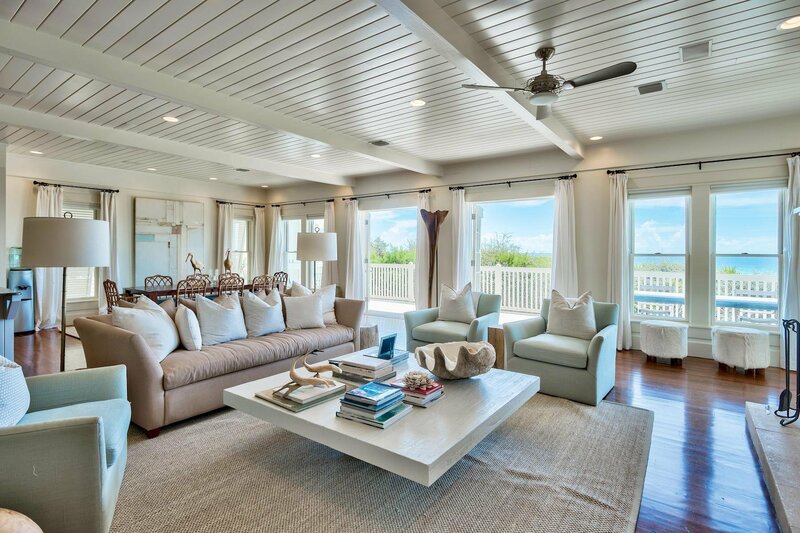 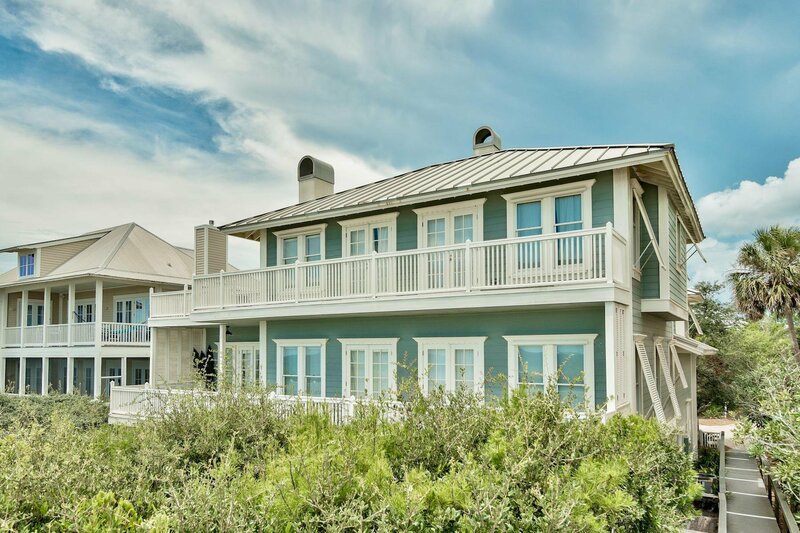 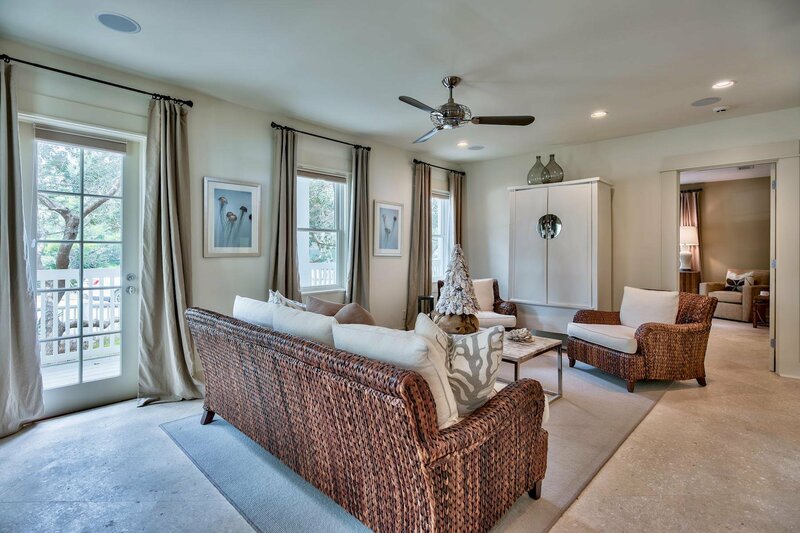 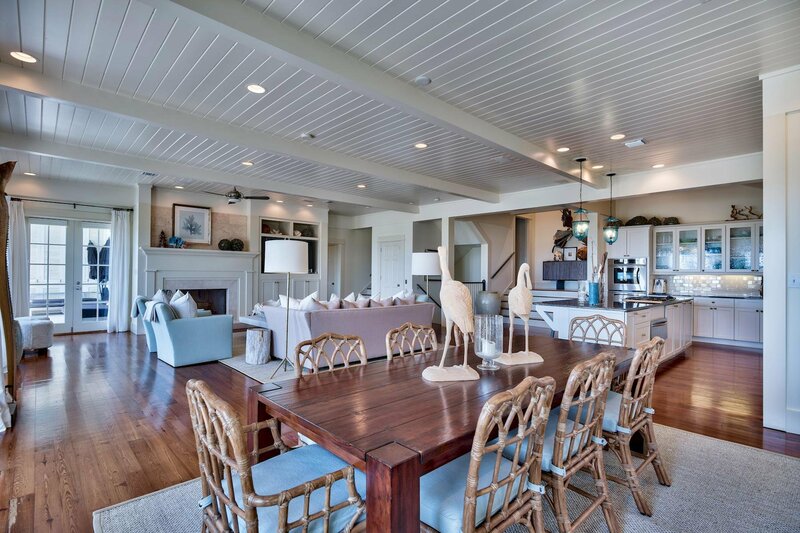 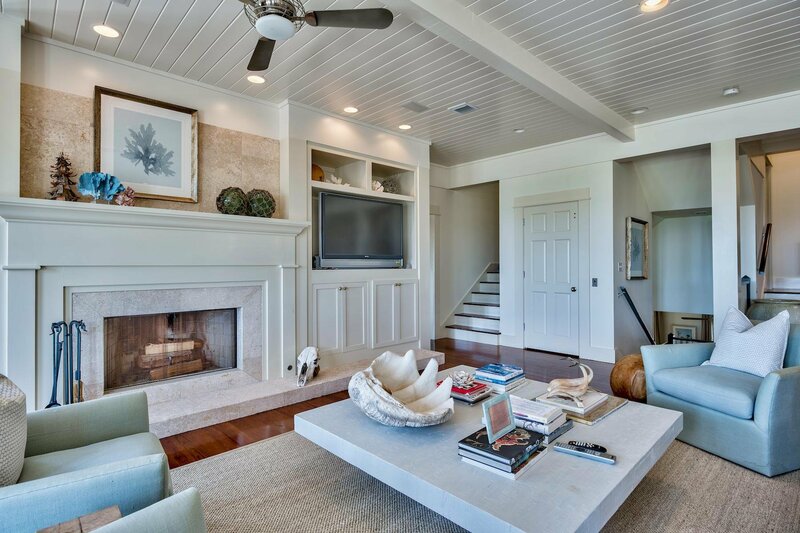 The second level offers expansive living framed by multiple sets of French doors that lead to an expansive beach view deck, allowing ample natural light to flood the space as well as endless gulf vistas. 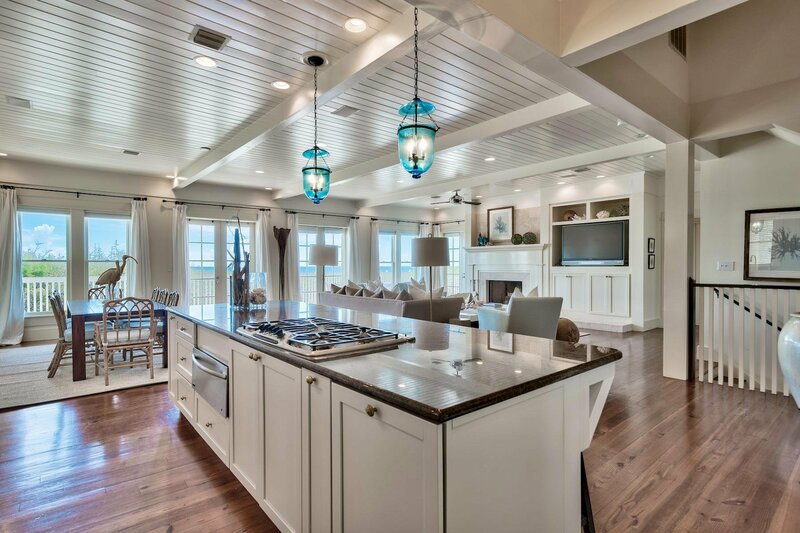 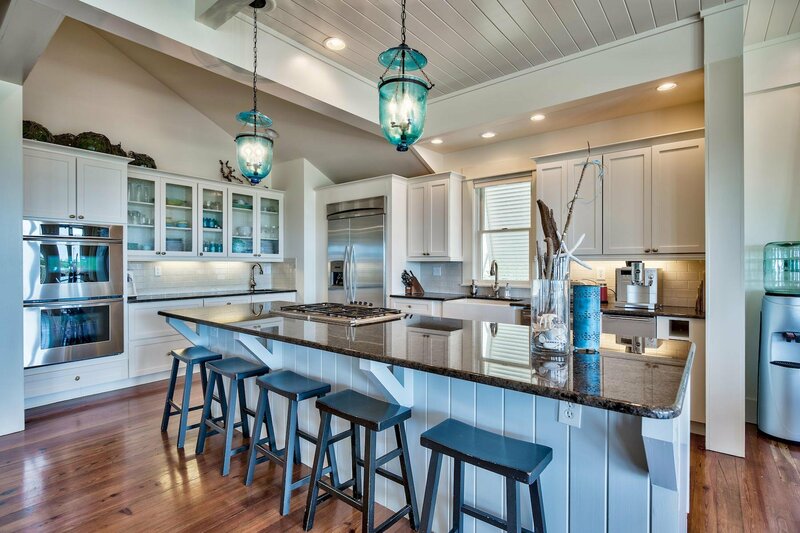 The chef's kitchen is open to the main living area and offers custom cabinetry, granite countertops, stainless appliances including a gas range as well as a full sized wet bar. 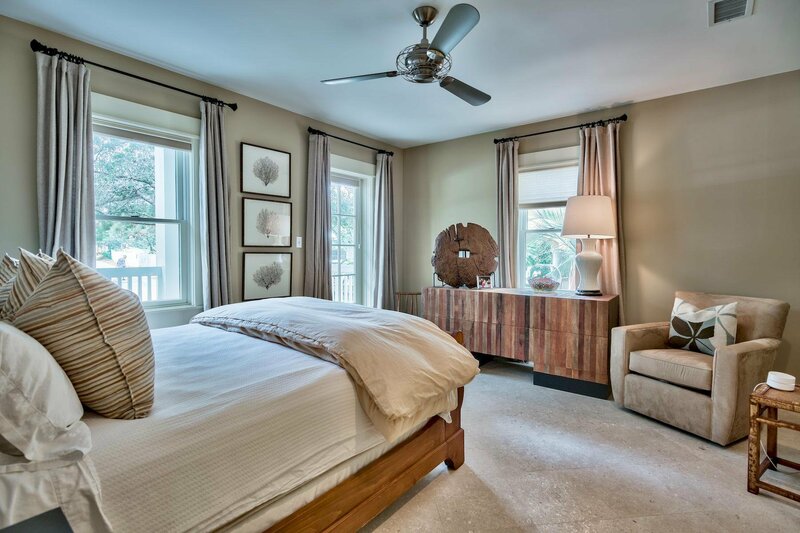 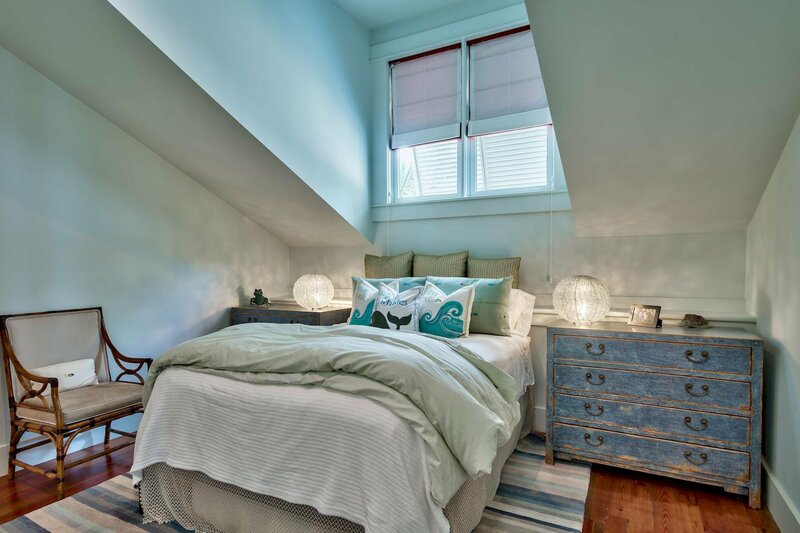 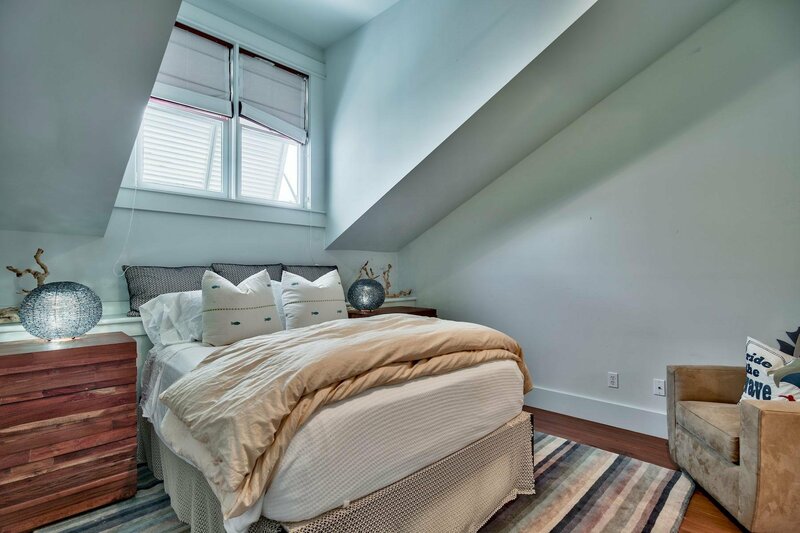 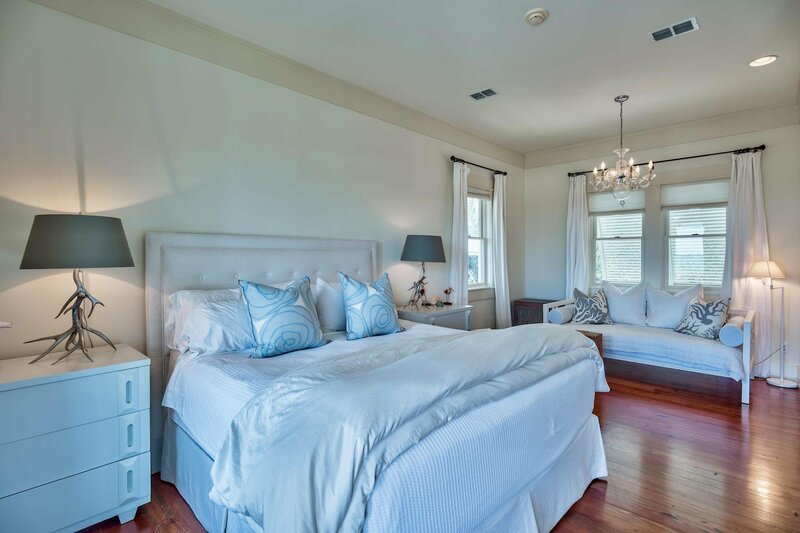 The second level also features a master bedroom suite, complete with a sitting area and ensuite bath as well as access to the expansive south facing porch; two additional guest suites are located on the second level each positioned for optimal privacy and characterized by vaulted ceilings. 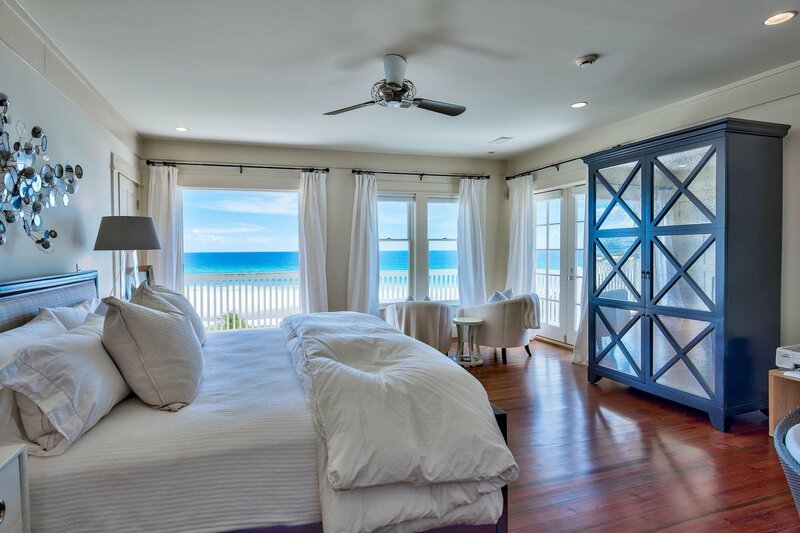 The third floor master suite is accessible by both a formal staircase and private elevator offering an expansive sitting area indoor and outdoor on the private veranda as well as floor to ceiling glass windows that frame the most exceptional views over the Gulf of Mexico and juxtaposed coastal dune lake. 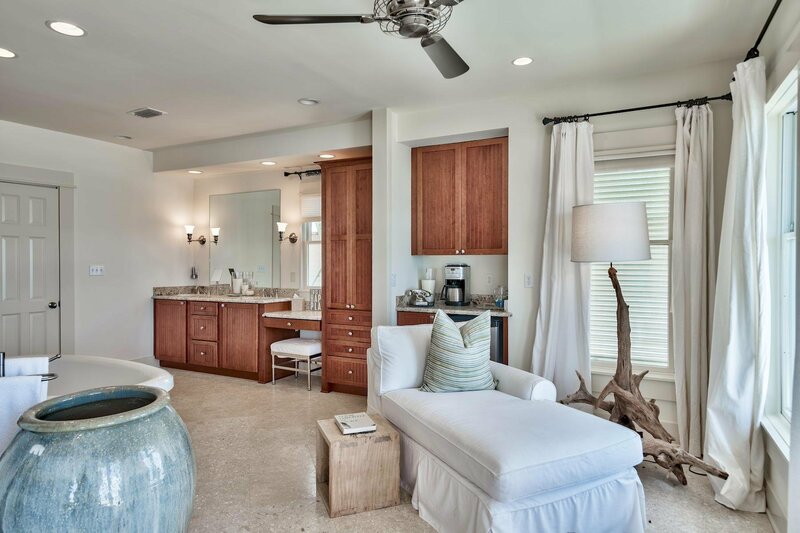 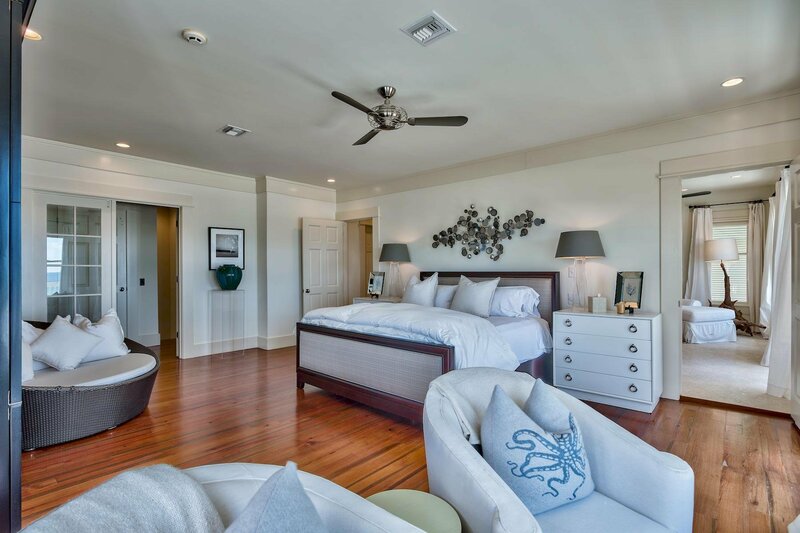 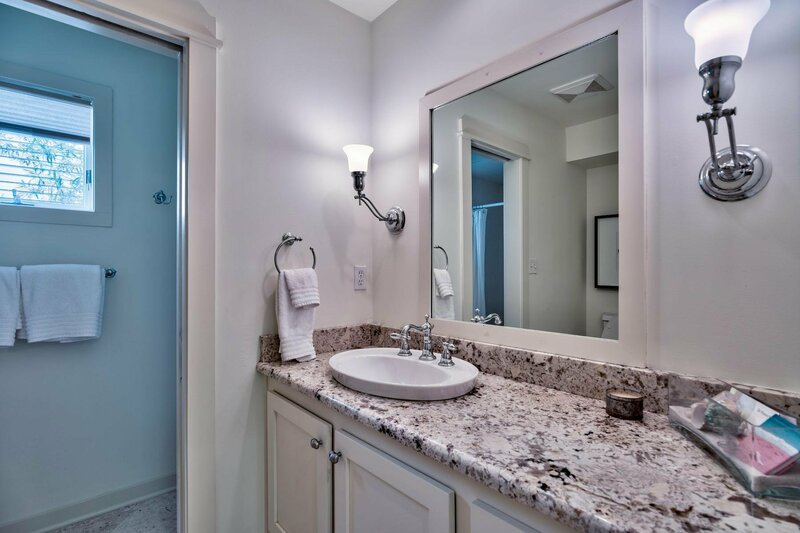 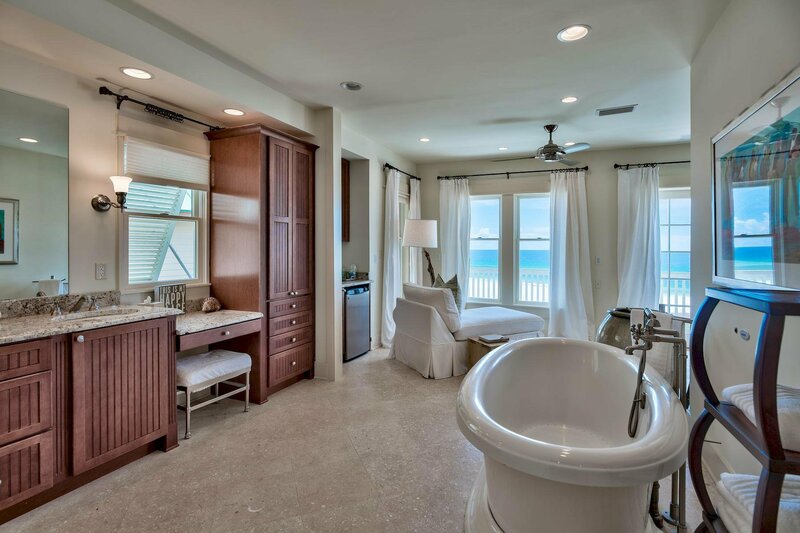 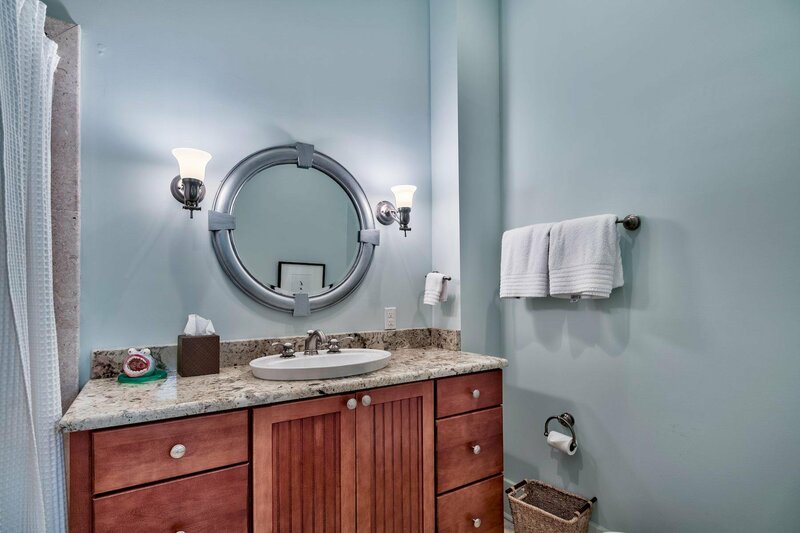 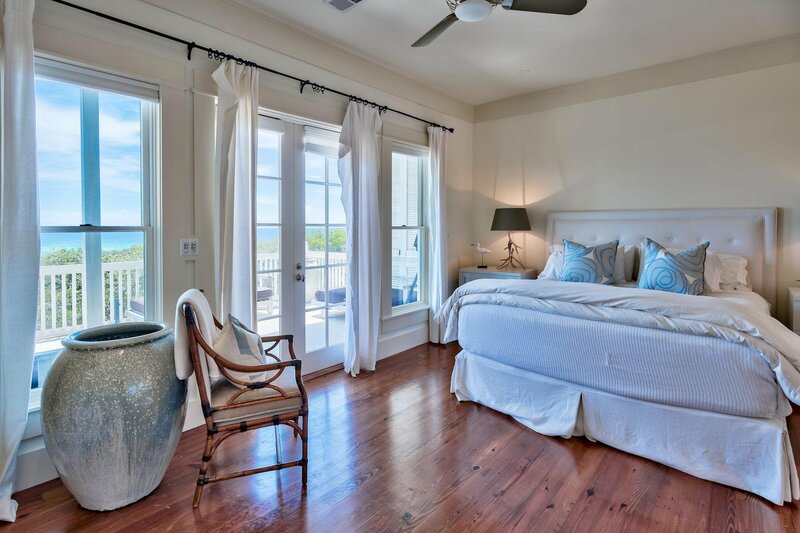 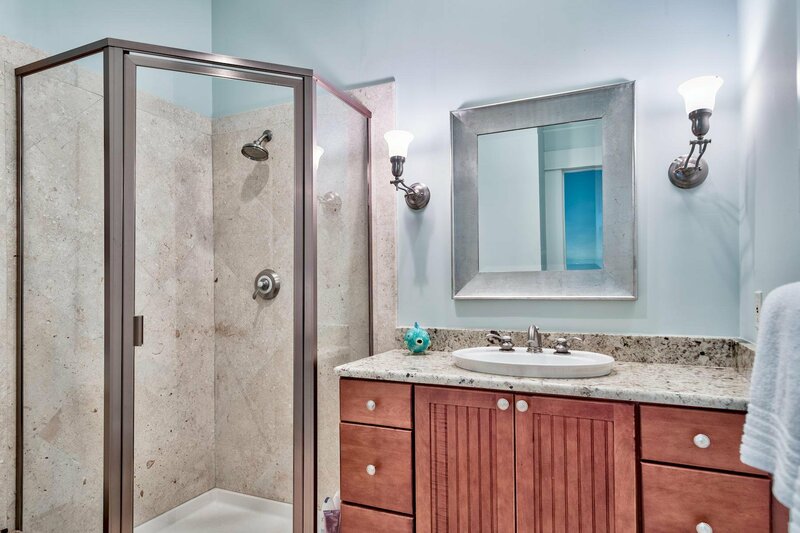 The master suite offers an equally impressive ensuite bathroom complete with a soaking tub, wet bar, walk in shower, dual walk-in closets, dual vanities with ample storage as well as a spacious sitting area overlooking the endless gulf views. 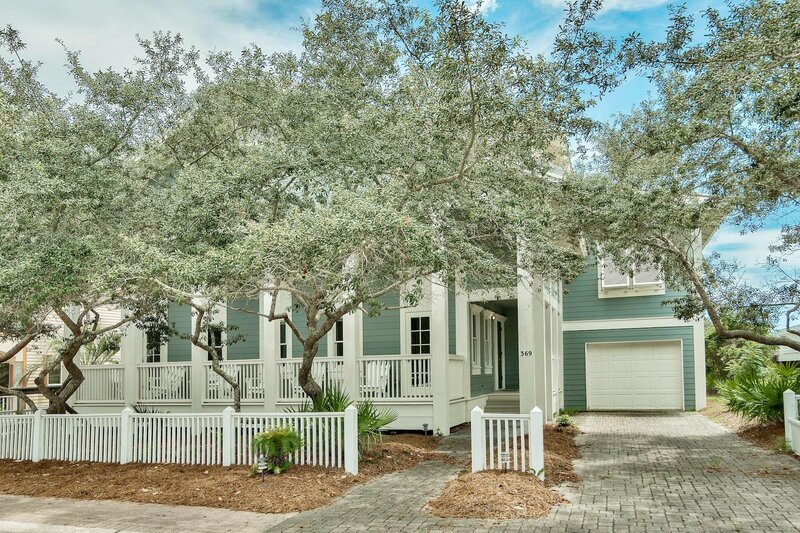 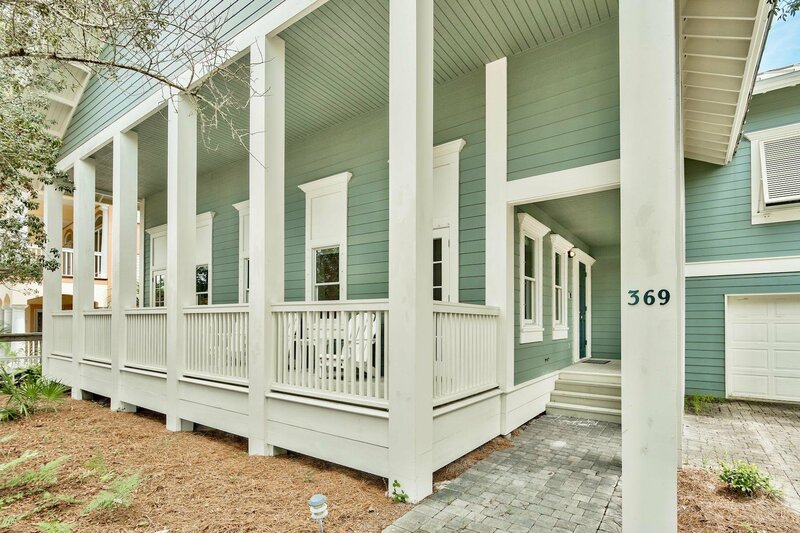 Exceptional architectural elements highlight the exterior facade including an oversized wrap around porch as well as ample parking and an oversized garage. 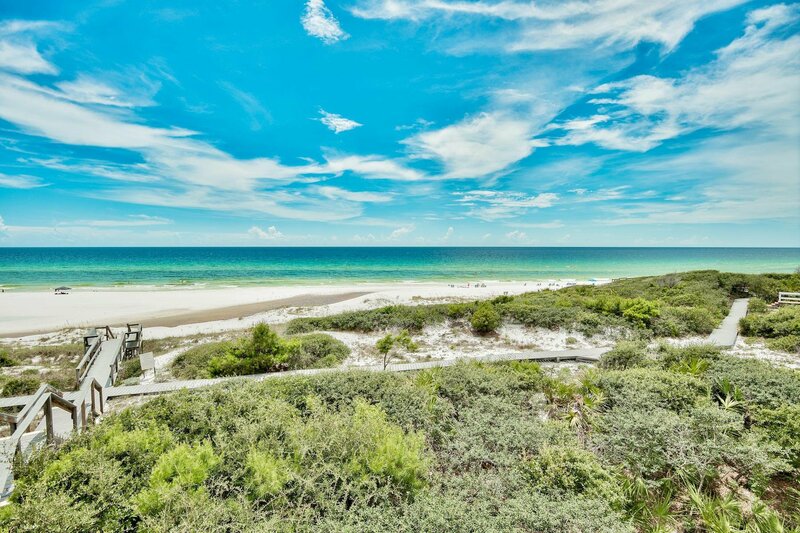 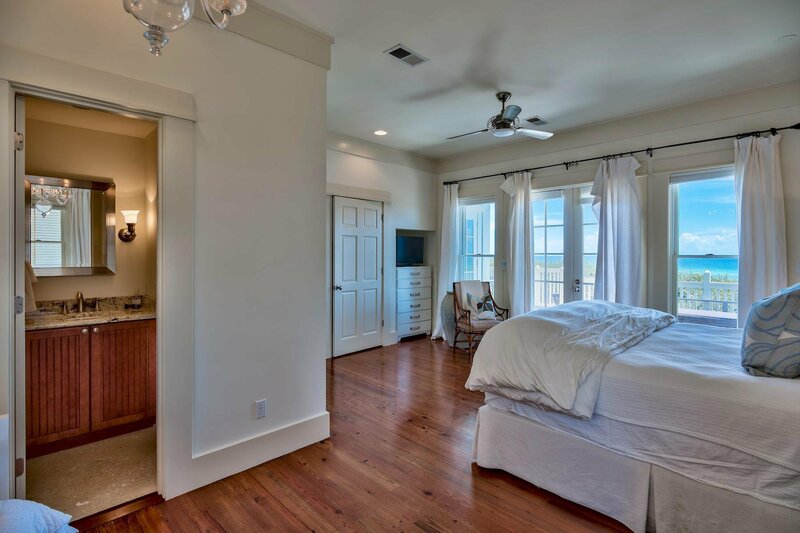 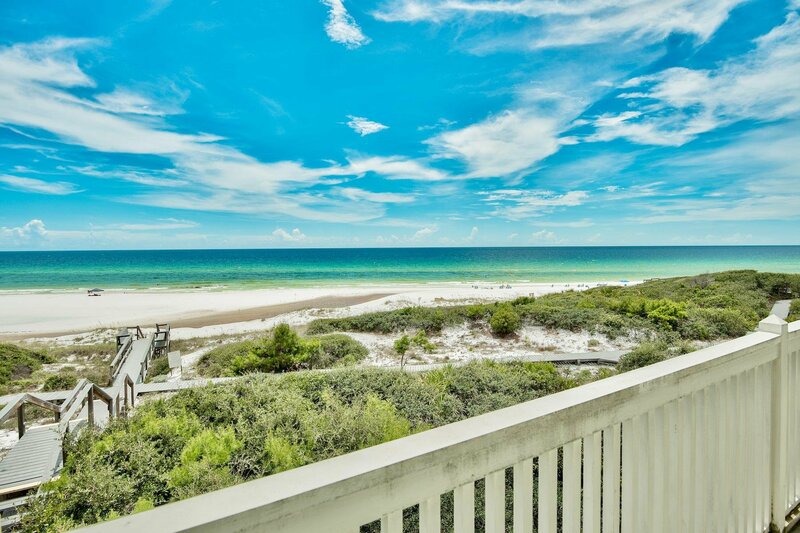 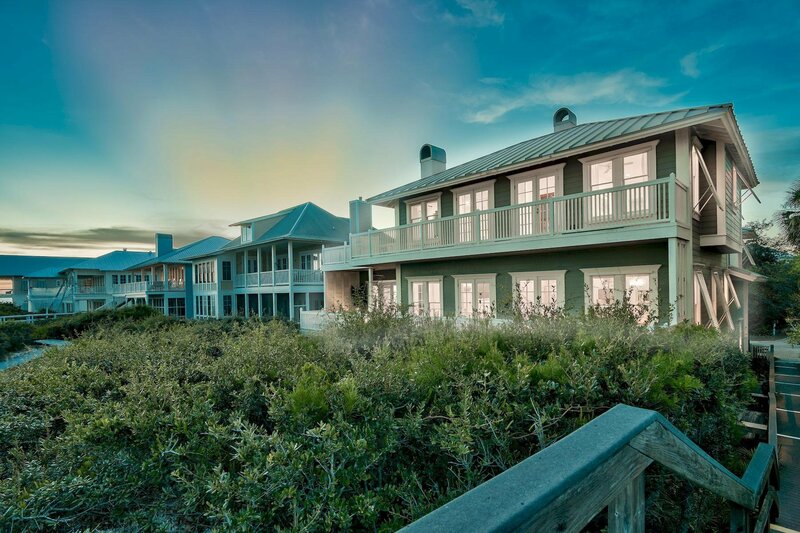 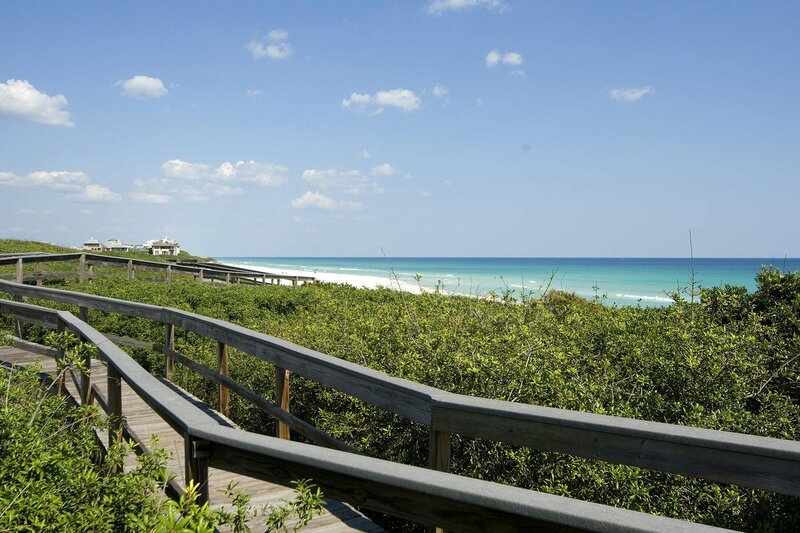 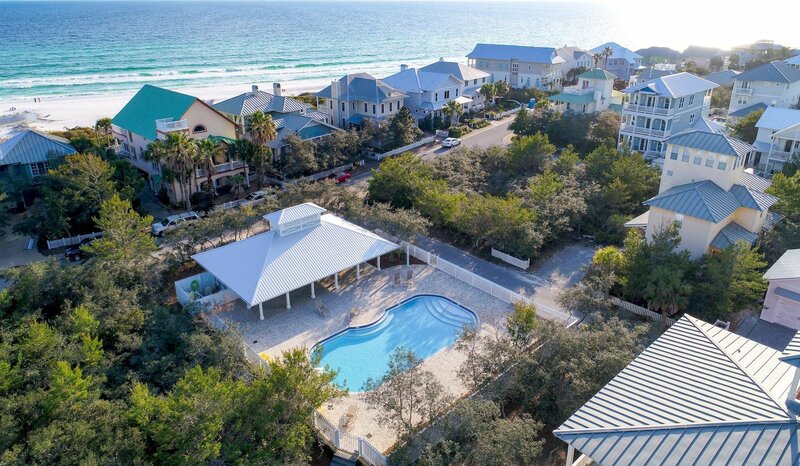 Old Florida Beach is a private, gated community situated on the West end of 30A offering a newly built community pool area and adjoining clubhouse and located close to world class restaurants including Shunk Gulley Oyster House as well as outstanding shopping, local entertainment and world class golfing.